"Erdkinder - School of Experience in the Elements of Social Life"
(Extract from "Profil der Montessori-Pädagogik und ihrer Einrichtungen" (=Profile of Montessori Pedagogy and its Institutions), worked out by Prof. Dr. Hans-Dietrich Raapke, University of Oldenburg, and the expert group "Theory" of the trainers' conference of the German Montessori Association). Montessori's "Erdkinderplan" (she used this German word herself) is a plan to reform the secondary level. It is designed for the adolescent in his transition from the state of a child - living within a family - to the state of an adult who lives in society. This is an especially sensitive period (popular: puberty) that demands both the fostering and the protection of the adolescent. The "Erdkinderplan" is printed in: Montessori, Maria: From Childhood to Adolescence, Madras 1973; all following quotations are taken from this. a guest-house as a place of service and social contacts. These institutions should be run by the young people and the adults together with the aim of an economic independence. The supporting programme for a secondary school is also part of the whole concept. The "School of Experience in the Elements of Social Life" is similar to the German "Landerziehungsheime" (=Boarding Schools in the Country) and "Produktionsschulen" (=Working Schools) of that time and today. According to Montessori giving young people the opportunity to earn their own money helps them to strengthen their social independence. In her concept she calls them "Erdkinder/ Earth Children" because they enter the culture from its origin by working in the country and with the earth. At the same time they are also - in a modern way - introduced into the basic mechanisms of economy, production and trade. "Working with the earth is the access to an unlimited learning process about science and history." The crucial point is imparting the reality of life on the basis of basic social experiences. The study and work plan - a supporting programme for the secondary school - includes three main fields: "Moral Care, Physical Care, Syllabus and Methods". "Moral care": By that Montessori understands the cultivation of relations among the young people, their teachers and the surroundings (modern speaking: communication and fostering of social competences). She expects the teachers to maintain respect for the adolescents and never to hurt their dignity or treat them like children. The adolescents need enough freedom for individual initiatives, which need to follow certain rules, of course. Here, the Montessori principle is effective again: children and adolescents work on their own initiative, but according to explicit or immanent rules. It is important to take account of the adolescents' need for solitude and silence. Being a doctor, Montessori paid special attention to the physical care. The strong bodily growth of the young people - together with its psychological components - should require medical care. In addition, Montessori demanded a healthy diet, more sports and the prevention of drugs and tobacco. Firstly, Montessori wants to open the "personal expression" of the adolescents and foster it, for example by music, speech (theatre and rhetoric) and creative work (drawing, painting, forming). Secondly, it is important to form the personality and respond to "the formative forces in the evolution of the soul of man". One pillar for it is moral education, the two other pillars are mathematics and languages. Montessori speaks of a "vital importance of mathematics", but she also stresses that "the development of language is part of the personality". Thirdly, there is "integrated education" by studying the earth and the living nature - i.e. a continuation of Cosmic Education - including geology, biology, cosmography, botany, zoology, psychology, astrology and anatomy. In history, pictures of the social life as well as man's discoveries and inventions should impart crucial experiences, as stated in current didactics. 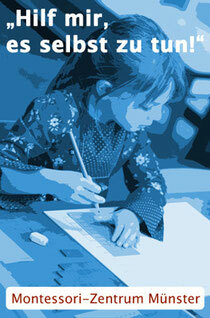 Moreover, Montessori especially stressed the contact among the different nations and cultures. According to Montessori, the "School of Experience in the Elements of Social Life" should be a school for everybody. For the proceeding applies the following: "The best methods are those which arouse a maximum of interest in the student, which give him the possibility of working on his own and of making his own experiences and which offer learning in theory and practice alternately."